Riverdale hadn't really even seemed like a mortal lock renewal late in season one, but after a summer of exposure with the younger demos on Netflix, it exploded out of the box with a 0.8 premiere in season two. It took 15 episodes to fall below 0.5 (its highest rating in season one) for the first time. As pleasant a surprise as this was, it still never matched last year's Arrow ratings, and it couldn't help its newbie lead-out Dynasty; it was even farther behind failed Frequency than Riverdale was behind Arrow. 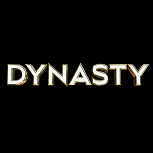 Dynasty became an even bigger eyesore in the winter months, when it was compared against an actual decent ratings performer, and eventually headed to Friday to play out the rest of its full season. Riverdale narrowly edged within single digits of Arrow here but fell back to a double-digit drop in the spring. 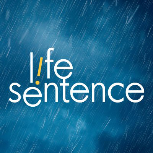 The 9/8c slot in the spring was split evenly between not-pictured bomb Life Sentence (which actually hit a 0.1 in its last two Wednesday episodes) and a really solid performance from the early part of the final season of The Originals (which hit 0.4 for the first three weeks). Riverdale: This is one of those shows that did something incredible, but stuck around for long enough and dropped enough in the ratings that it became a bit taken for granted. But the huge leaps from season one to season two in the final averages don't lie. It was not coming from an impressive starting point, but this is still one crazy sophomore bounce. Grade: A.
Dynasty: It bombed just a teeeeny bit less than Valor and beat it out for the back nine and renewal. And with fellow CBS returnees Crazy Ex-Girlfriend and Jane the Virgin ending next season, the CW will be looking for every reason to give Dynasty another renewal. 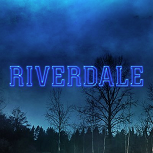 Can it make some kind of mark on Netflix like Riverdale did? Grade: D.
Life Sentence: Kinda hate to put it behind Dynasty and Valor since they all did terribly; if it had come from the right studio, maybe it would've had a shot. But it was the first one to cross the 0.1 threshold on a weeknight, and it's had some Friday episodes that just barely eked out an un-rounded 0.100. Grade: F.
The Originals: (Average through July 11. Three episodes are still to air, and the update to the War page will come after those are in the books.) It looked great with some 0.4's in the early weeks but has tapered off to some low 0.3's and at least one high 0.2 in the summer airings. It's had a good showing on Wednesday, though not much Truly different from what it did in on Friday last year. It does have the benefit of essentially confirming that the season four performance was impressive. As hard as this show fell in seasons two and three, it held up pretty well in the later years. Grade: B. Here's the now updated Schedules Plus for CW Wednesday.